Whether you’re moving to be closer to family, for a new job, or just for a change of scenery, moving from NJ to Indiana is a task that requires the help of a professional moving company. Long-distance moves have a special set of challenges, and Simonik Moving & Storage has the experience to help you every step of the way. Since 1977, we have provided moving services to New Jersey residents. 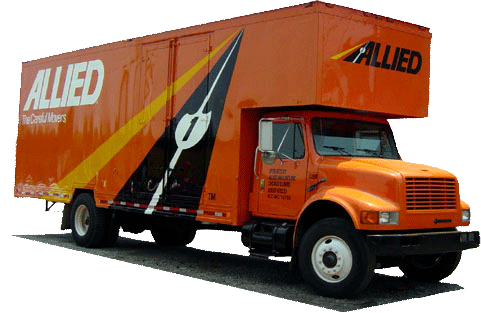 As an agent of Allied Van Lines, we have access to the best equipment and professional movers from coast to coast. Our commitment to providing exceptional customer service has earned us numerous awards as well as long-standing accreditation from the Better Business Bureau. Let us help you take the stress out of your long-distance move! One aspect of moving that many don’t consider is the need to store some belongings. We offer both short-term and long-term storage solutions. We want to make it as easy as possible for you to complete your New Jersey to Indiana move, so we pack your items in containers and store them in our secure facility until you’re ready for them to be delivered right to your door. We can store your items for as long as you’d like, and the storage fees can be included in your moving estimate. We’re proud of the awards we’ve won over the years, including being named “Mover of the Year” by the New Jersey Warehousemen & Movers Association. As a ProMover member of the American Moving and Storage Association, we have access to ongoing training that keeps us up-to-date on the latest regulations associated with long distance moving. Throughout North and Central Jersey, we are the premier local and long distance moving company. Residents of Hunterdon, Mercer, Middlesex, Monmouth, Morris, and Somerset counties call on us, because we have built a reputation of trust within these communities. You can count on us to help you with your NJ to IN moving needs! Let us be your New Jersey to Indiana moving partner! Give Simonik Moving & Storage a call today to speak with a moving specialist and to learn more about all of our services. You can also fill out our online contact form to receive a free, in-home estimate.